The money will go towards projects that focus on homelessness, public health, library services and community revitalization. 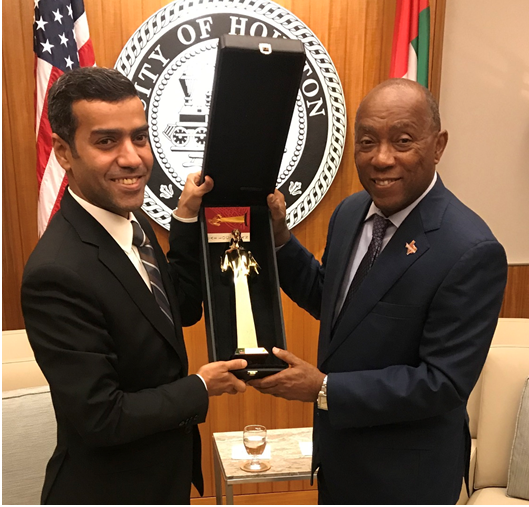 The United Arab Emirates Consul General in Houston, Saeed Al Mehairi, and Houston Mayor Sylvester Turner, exchange gifts. The United Arab Emirates (UAE) is giving Houston $6.5 million for Hurricane Harvey recovery efforts, with a focus on homelessness relief, community revitalization, library services and public health expansion. 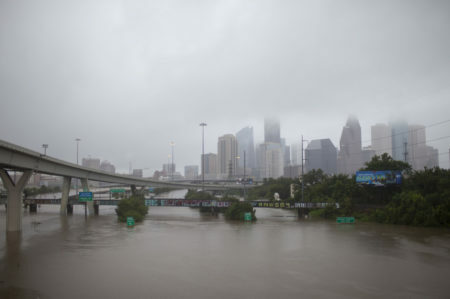 The Greater Houston Community Foundation, which administered the Hurricane Harvey Relief fund, will oversee the distribution and management of the funds from the UAE, according to a press release from the Mayor’s office. Of the total funding, $2.6 million will go towards the construction of a new community center in Near Northside. The three-story center will be run by nonprofit Avenue CDC, and feature space for both a health clinic and early childhood education center. 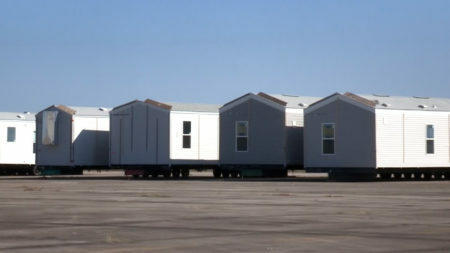 “This funding will allow Avenue to develop a new community resource hub in Houston’s Near Northside which will provide residents, especially low-income families, with supportive services including homebuyer education and counseling, disaster recovery assistance and early childhood education, which is urgently needed, as neighborhood families face a shortage of early childhood education capacity,” said Mary Lawler, Avenue’s Executive Director. 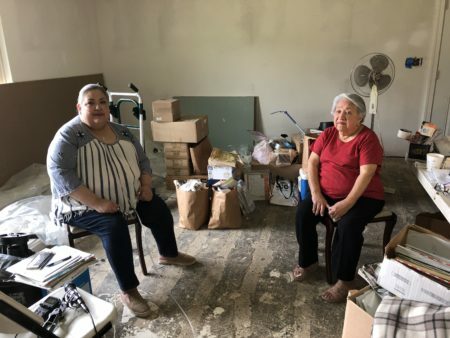 Another $2 million will be used to create and operate a short-term housing facility for the Homeless Navigation Center, while the Flores Neighborhood Library in Houston’s Second Ward will receive $800,000 for restoration works and upgrades. The library has been closed since Harvey due to damage. The final program to receive funds is the Houston Health Department, which will be given $1.1 million to expand its services, including launching mobile health clinics and testing children for blood lead poisoning. The money is part of a larger $10 million donation the UAE made to Texas for Harvey recovery. Neighboring Qatar also gifted $30 million to Texas for the Qatar Harvey Fund. Part of the money from the Qatar Harvey Fund has gone towards initiatives in Houston to reduce homelessness and reopen the city’s Riverside General Hospital.